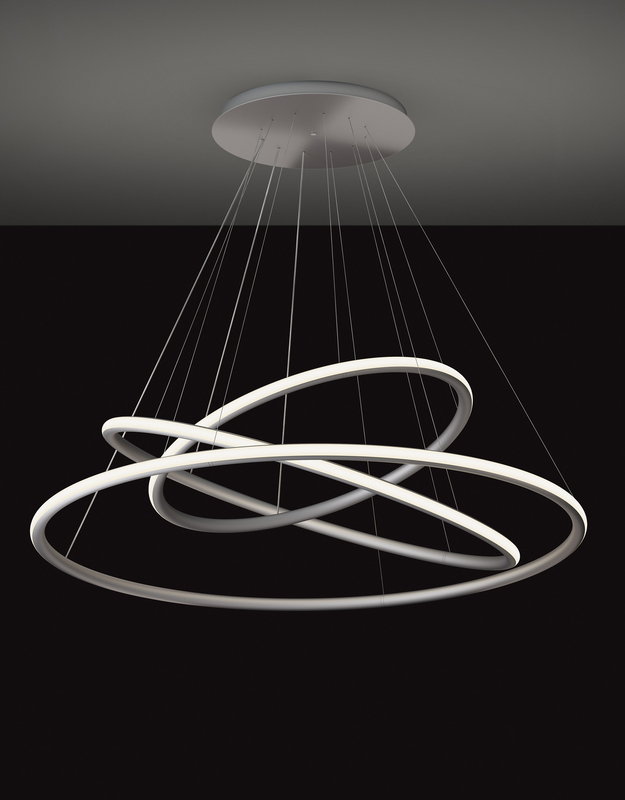 Searching for a truly unique light sculpture that is perfect for that high-ceiling, large-scale feature space? A cluster is just be the attentional seeker you’re looking for. Clusters are the modern take on the traditional chandelier – a trendy and popular solution to the need for depth and visual impact. 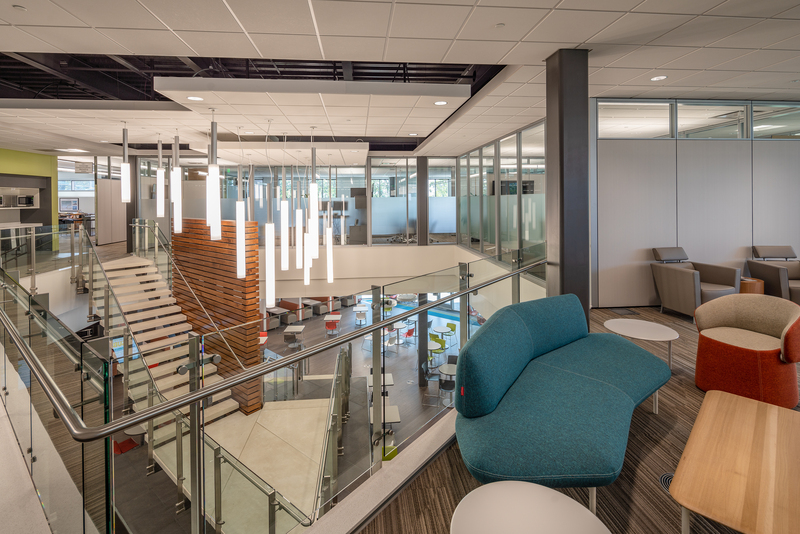 Scale, dimension, and layout can all be harmonized with a unique-to-your-space solution. GLOWSTICK. Configure a cluster of Glowstick pendants with numerous lengths to create a beautiful multi-story installation while delivering usable light. TUBIE. 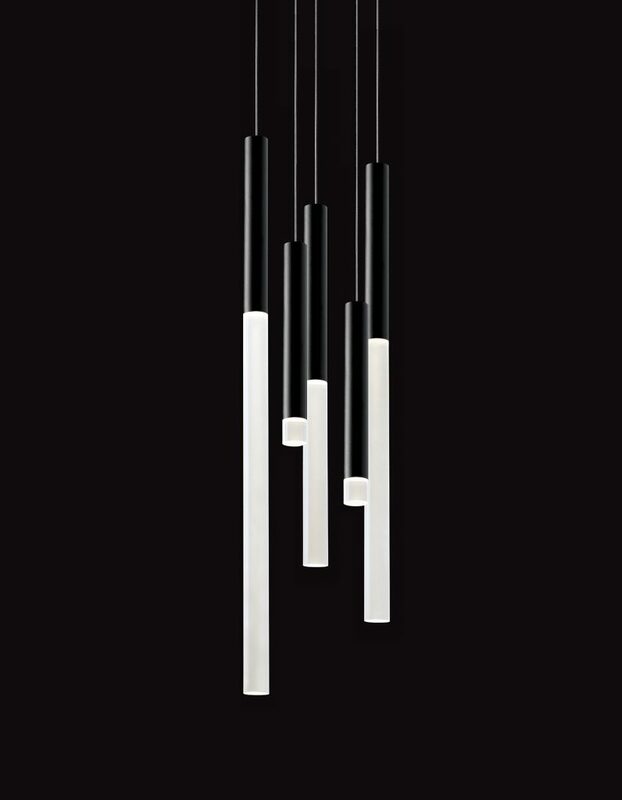 With acrylic diameters of 5”, 8” and 12”, a Tubie pendant cluster can fill dynamic spaces, both horizontally and vertically. ARO. A variety of Aro pendant diameters (this one has 8 rings!) can hang from a common canopy. The rings can even be interconnected for an enhanced look. SOLO. Overlapping rings in a multi-pendant cluster can be a statement in any open area. CUSTOM. Transform a rough concept or napkin sketch into a reality with a custom fabricated cluster. These are just a few examples of what is possible. 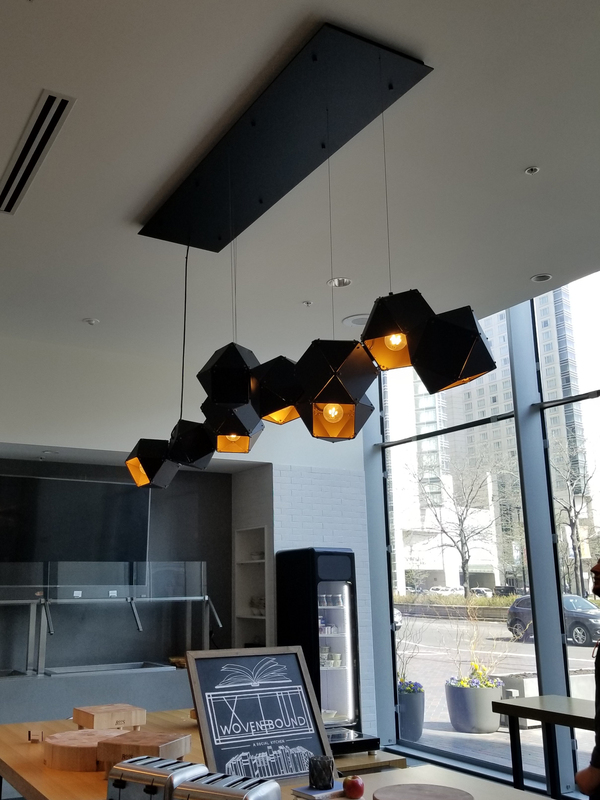 Depending on the space, many pendants can be mounted in a cluster with a shared canopy or individually mounted in an array. In some case, the driver count can be reduced with multiple pendants sharing a common driver. Standard clusters are an option too! Don’t have the time or the budget (or maybe the patience?!) to configure a unique cluster modification? Standard clusters are a great solution! GLOWSTICK CLUSTER: Available in clusters of 3, 5 or 7, Glowstick standard clusters are ready to go and mounted to a single canopy. 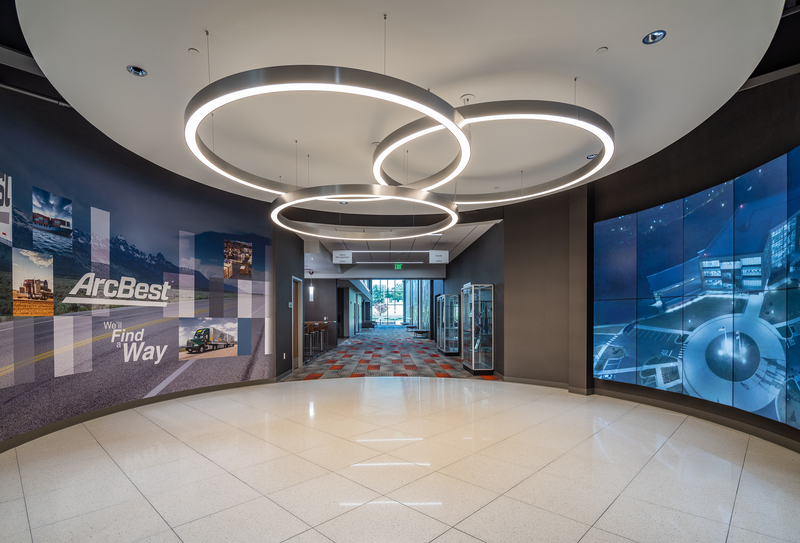 ARO CLUSTER: A trio of 36″, 48″ and 60″ diameter rings all pre-configured at visually pleasing angles with a single canopy. So many solutions are possible! Need help? 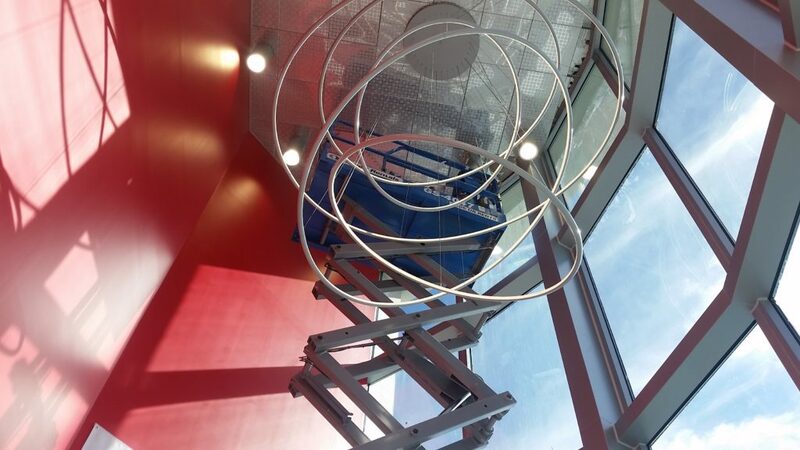 Contact your local lighting representative to specify or for quote assistance. Check out our Gallery for more inspiration!